Finished-Bore Sprockets are provided with standard keyway and 2 set screws. The keyway is for fixing your sprocket to the shaft to keep the sprocket from spinning. One set screw is located over the key and one is located 90 degrees to the key for locking onto the shaft. The keyway is American National Standard Institute (ANSI) standard, please be sure to double check your keyway before you order. Don’t forget to order keystock if you need. Easy to install, Taper-Bushed Sprockets give you the flexibility to use the same sprocket with different shaft diameters. Purchase Taper-Bushings (Sold separately) to match the bore sizes you need. Use with ANSI single and double-strand chain. These steel sprockets and bushings meet all ANSI requirements. 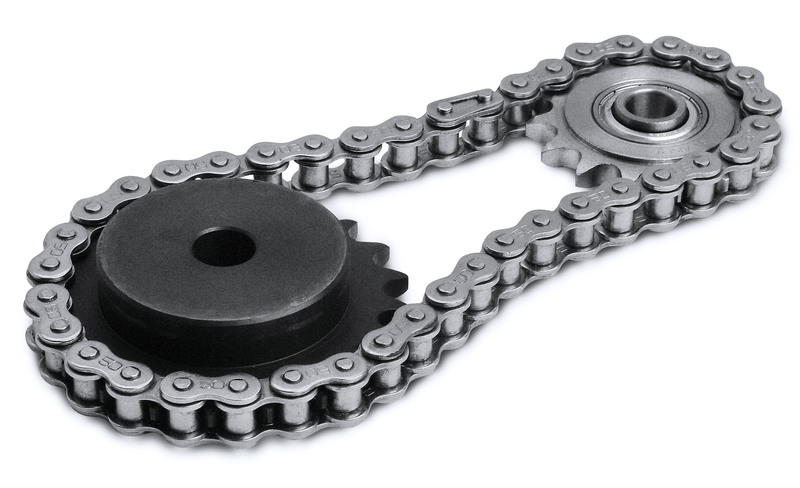 Idler Sprockets spin freely on built-in bearings to guide and control slack in your chain. Idler sprockets are self lubricating and quiet. Idler sprockets will extend the lifetime of a roller chain and sprocket. See keystock section to order. If you need assistance selecting what product is right for your application, or have any other questions or comments, please Contact Us.